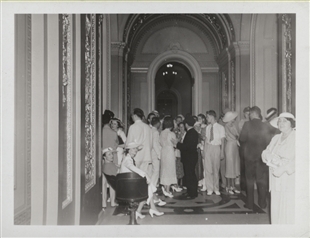 When air conditioning was still rare, summer in Washington meant white suits, white shoes, and straw hats. 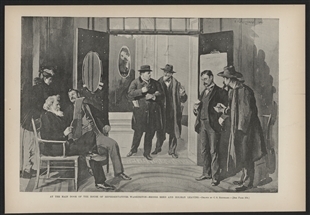 A group of visitors to the Capitol, dressed for the season, congregated just outside the House Chamber, perhaps waiting to meet Representatives as they came off the Floor. 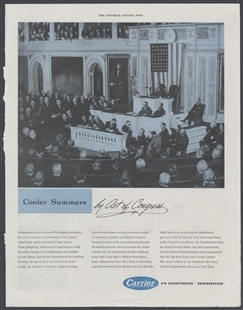 For those lucky few inside the Chamber, air conditioning had arrived already, installed in 1928.